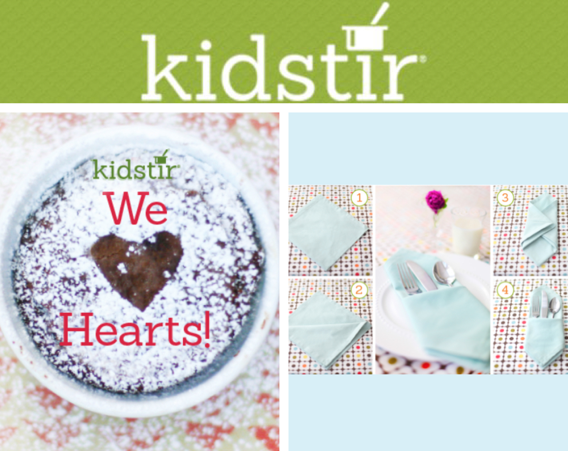 For a special Valentine’s Day treat, decorate your dessert with a stenciled sugar heart. Just download our template, set the shape, and sprinkle with powdered sugar. Remove the template and the sugar heart will magically appear! Make your Valentine’s Day dinner feel like a grand occasion with this simple napkin folding trick. 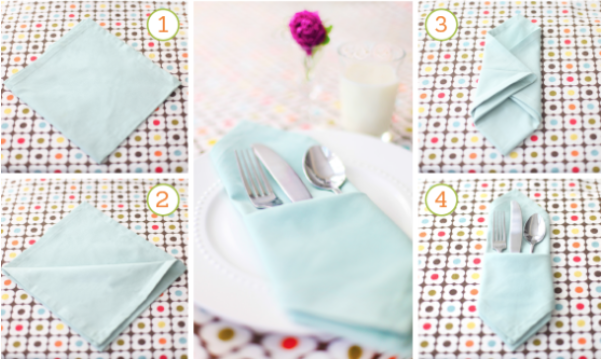 Take a look at our step-by-step photos to learn how to make a silverware pocket! 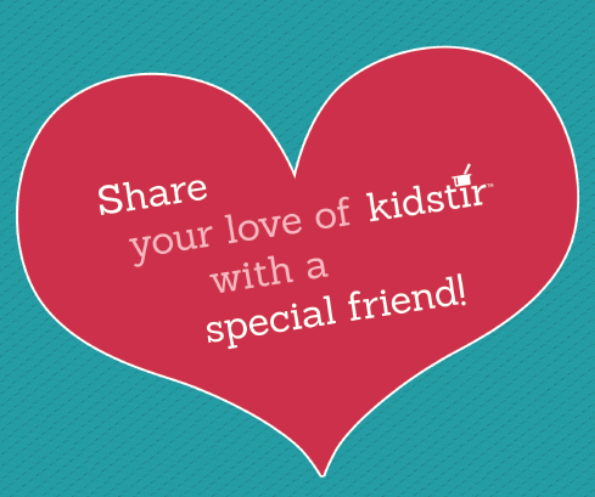 We love that you’re spreading the word about Kidstir! Use our Refer a Friend form and you’ll get a $10 credit as thanks! Your friend will also get $10 off their first kit! Happy Valentine’s Day!